Donald Trump says he wants to be president to "make America great again," but his candidacy has been focused on improving journalism as much as anything. The outspoken bllionaire's Twitter feed has long been filled with cutting observations on reporters, pundits and news programs. But Trump has ratcheted up the media criticism since launching his White House bid, praising those he believes are covering his campaign fairly and lashing out at his critics. The following is a guide to Trump's assessments of how his candidacy has been covered. Hugh Hewitt: The conservative radio host got what he calls his "Donald Trump tattoo" when he asked the candidate about the Iranian Quds force, which has been accused of fomenting trouble in Iraq and Syria. Trump thought Hewitt was asking about Kurds, and after stumbling a bit dismissed it as a "gotcha" question that was "slightly ridiculous." Trump later ripped Hewitt as a "third rate radio announcer." Megyn Kelly: The Fox News anchor touched off a weeks-long feud between Trump and the network by asking him during the GOP's first debate about crude ways Trump has referred to women. A fuming Trump continued to lampoon Kelly, despite an attempt by Fox News chief Roger Ailes to broker a truce. Politico: In a series of tweets in August, Trump complained, "Politico covers me more inaccurately than any other media source, and that is saying something. They go out of their way to distort truth!" Bloomberg News: Trump lashed out at Bloomberg News for estimating his wealth at $2.9 billion, a puny amount compared to the $10 billion Trump insists that he's worth. "I think they're a disgrace. And the next time I see Michael [Bloomberg] I'm not going to be so nice," Trump told the Daily Mail. He went on to describe the financial news outlet's reporting as "so bad," and suggested that Michael Bloomberg, a former New York City mayor who once toyed with the idea of running for president, was jealous. "Now maybe Michael told them to do it. Maybe he did, because he always wanted to do what I'm doing," Trump was quoted as saying. Des Moines Register: Trump refused to grant press credentials to reporters of Iowa's largest newspaper to cover a campaign rally in the state. The Trump campaign withheld the credentials after an editorial in the paper called him a "feckless blowhard" who should drop out of the presidential race. A tweet by Trump referred to the Register as a "seriously failing" newspaper. Charles Krauthammer: No member of the media has drawn the ire of Trump in the last month more than Krauthammer, the influential conservative commentator and Fox News contributor. Trump's scorn appears to have been prompted by Krauthammer's appearance on Fox News last month when he spoke positively of a poll that a showed a huge majority of voters would never vote for Trump. Ever since, Trump has branded Krauthammer as a "dummy who is on too many Fox shows," "a totally overrated clown who speaks without knowing facts," a "rodeo clown" and a "dope." George Will: Trump has pilloried the syndicated conservative columnist for years, and he hasn't let up since announcing his presidential candidacy. On Twitter last month, Trump called Will a "goofy political pundit" and a "total dope." Trump also mocked Will's support for the Iraq War. Will, for his part, said last week that Trump might as well be a "Democratic mole placed in the Republican Party to disrupt things." Jonah Goldberg: Goldberg, a senior editor at the conservative National Review, asserted in a column Wednesday that Trump "has the huge potential" to derail the GOP's chances of taking back the White House in 2016. In an interview with NBC the same day, Trump dismissed Goldberg as "guy that can't buy a pair of pants." The two have a history. In April, Trump unloaded a slew of nasty tweets aimed at Goldberg, who responded by saying that the businessman had the Twitter habits of a "14-year-old girl." New York Daily News: After Trump's presidential announcement last month, the Daily News put out a front page declaring that a circus clown had just entered the race. Trump's face was photoshopped to look like a clown, for good measure. Trump later ridiculed the financially strapped tabloid, which has been searching for a buyer. "Only a fool would buy" the Daily News, Trump said. "Let it die!" NBC News: No surprise here, given the network's decision to end its longstanding business partnership with Trump over his incendiary remarks about illegal immigration. Trump accused NBC of an anti-conservative bias, and took shots at "sleepy eyes" Chuck Todd and "lying" Brian Williams. And Trump grew visibly annoyed with NBC News correspondent Katy Tur during an interview on Wednesday. But Trump was critical of the NBC family even before the business relationship came to an end. Late last month, Trump was upset when Willie Geist, a co-host on both NBC's "Today" show and MSNBC's "Morning Joe," was caught "mockingly" smiling during an on-air discussion of Trump's poll numbers. Jonathan Capehart: Trump, who has earned a reputation for sending hand-written notes to journalists, sent a critical communique to Jonathan Capehart this week. Capehart, an African-American columnist for the Washington Post, wrote critically of Trump's "baldly racist xenophobia" on Monday. Capehart had it backwards, Trump declared. "Jonathan - You are the racist, not I," he wrote to Capehart. "Get rid of your 'hate.'" Washington Post: Trump was pleased with a story in August the newspaper wrote about how the GOP frontrunner attracted about 30,000 people to an Alabama stadium. He praised the newspaper in a tweet for "the accurate and very discriptive [sic] story" about his Alabama rally. 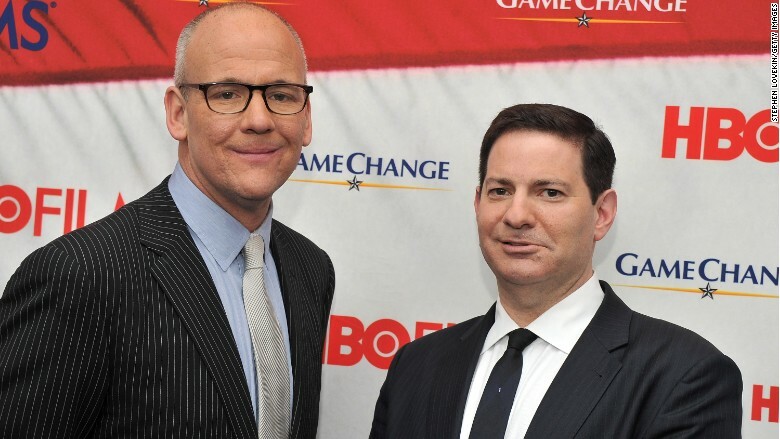 Mark Halperin and John Heilemann: Trump professed on Twitter last month that he's "really beginning to respect Mark Halperin and John Heilemann as political reporters." Earlier that day, the Bloomberg Politics duo, who co-authored the bestselling book "Game Change," analyzed Trump's strong poll numbers in New Hampshire. 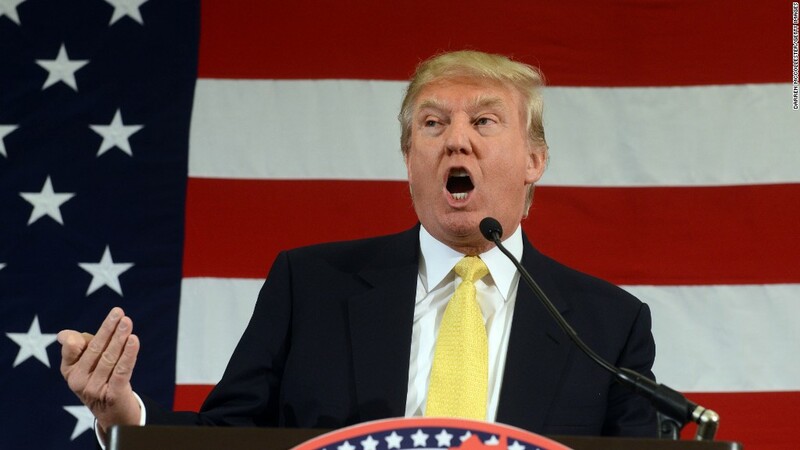 Halperin chalked it up to all the time Trump has spent in the Granite State, while Heilemann said a "core" of the state's Republican electorate is receptive to what he called Trump's "somewhat xenophobic" message. The Huffington Post: Trump expressed gratitude to the Huffington Post last week for, as he put it, "stat[ing] that I am number 1 in the polls of Republican candidates." At the time, HuffPost Pollster, which combines public polling to produce an average, ranked Trump as the top Republican presidential candidate. Currently, Trump trails Jeb Bush in Pollster's average. Geraldo Rivera: The Fox News correspondent found himself in Trump's good graces last month thanks to a healthy dose of flattery. Rivera, a previous contestant on Trump's "Celebrity Apprentice," declared that Trump is "more competent, creative, tough, experienced, courageous and bold than most of the announced candidates for president." Trump responded in kind. "Thanks Geraldo, you're a champion," he tweeted. Anderson Cooper: Trump thanked the CNN host "for being so fair" with a report that had aired the night before. "Greatly appreciated!" Trump added. But in an interview with Cooper that aired later, Trump didn't appreciate a question about his hiring of undocumented immigrants in the 1980s to demolish a building that made way for his Trump Tower. "Anderson, when you have to go back 35 years to tell me about something, I think that's pretty pathetic to be honest with you," Trump fired back.